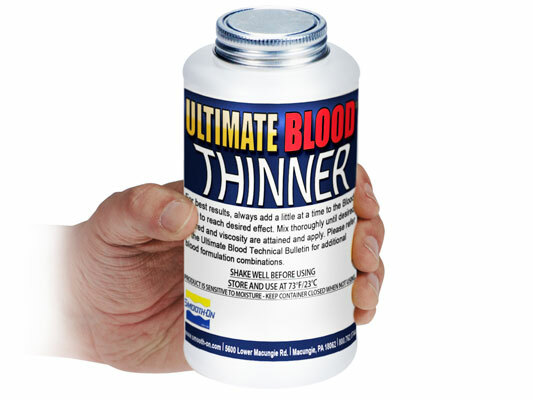 Ultimate Blood™ Thinner Product Information | Smooth-On, Inc.
Thinner for the Ultimate Blood™ base. This thinning agent can thin down previously thickened Ultimate Blood® to a flowing consistency. Can create a very low viscosity blood. Must be used with the Ultimate Blood™ base.